mostly for neat tech products. We got into this by accident. In 2009, Adam Lisagor made what became the first of his many videos for neat tech products. He’d co-developed an iOS app with a friend, made a video to promote it, and became his own first client. 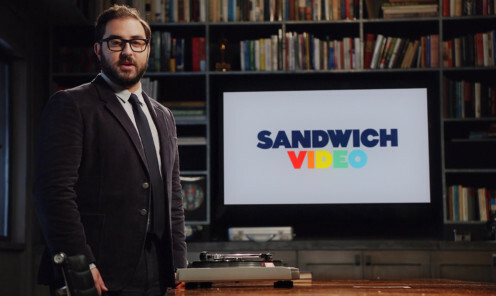 A year later, with enough paying customers to make it a real thing, he incorporated as Sandwich Video Inc.
We’re not here to sell—we’re here to share through the medium of video. People usually watch because they’ve come to learn, and we like to help make that happen. You can watch an episode of “Small Empires” from The Verge that’s all about Sandwich. Want to know more about how it works? We wrote a How it Works.